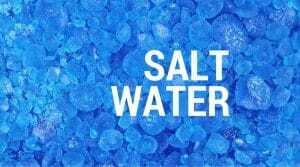 Given the growing popularity of saltwater systems in residential and commercial pools, it is appropriate to share some valuable information for saltwater pool owners/operators, or those considering making the switch to salt. We recently spoke with two swim school owners who are considering switching from chlorine to salt. Their reasoning is due to the competitive nature of the swim school business—potential customers (parents) ask them if their pool is chlorinated, because they seem to prefer their kids swim in a salt pool. Those same parents seem to believe that salt water means there is no chlorine in the water; a belief that, while incorrect, is widespread.  Disclosure: Orenda does not produce/sell/distribute salt, chlorine, or any other type of sanitizer. 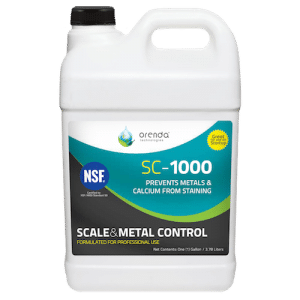 Orenda products work with any type of sanitizer available on the market today, including saltwater. 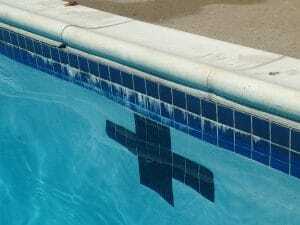 That being said, the health of pool users matters to us, as well as the sanity of pool operators. This article is meant to be informative about the facts, pros and cons of salt water treatment. Myth: saltwater means no chlorine in the pool. Electrolysis separates sodium chloride to create chlorine. False. Salt systems are actually chlorine generators, using a process called electrolysis. Electrolysis happens by sending electricity through salt water (sodium chloride, or NaCl), which interacts with the chloride ion in the salt. This creates chlorine in the water, which follows the flow of water into the pool. You can read more on electrolysis here. To be fair, we do not know of any companies that claim a chlorine free salt system…this is more of a myth that the public believes for some reason. Perhaps it's the perception that salt-generated chlorine is a more natural chlorine? Not sure. Myth: saltwater is healthier than chlorine for your skin. It depends on how this claim is worded. As we just discussed, there is chlorine in saltwater pools. So is salt water healthy for swimmers? Saltwater certainly tastes better than a traditionally chlorinated pool, and some people may get less irritation or dryness on their skin after swimming. However, this seems to be largely subjective to people’s opinions. Some people like saltwater, others hate it. The same argument could be made for natural chemicals vs. synthetic compounds, but without scientific evidence one way or another, we are in no position to make claims here. We have not found research that saltwater-chlorinated pools are any better for people than traditionally-chlorinated pools. If you have, please send it to us, because we are all about healthy water at Orenda. Myth: saltwater pools have less chloramine problems. False. Again, it’s still chlorine (albeit a more natural chlorine), and chloramines will still be created. Just like traditionally-chlorinated pools, chloramines can still be relentless and brutal in saltwater pools—particularly with regard to air quality and corrosion. After the up-front costs of installing a salt generation system, it can be very cost effective to operate. Since you don’t need to add chlorine every week (just salt), your operating budget can be relieved a bit by using a salt generator. Salt cells do use electricity, but the amount of power consumed is nothing alarming. Another benefit is consistency. Unlike liquid chlorine or tabs administered manually, salt generators consistently generate the same amount of chlorine. This is a double-edged sword, however, as mentioned in the cons below. If people believe a salt pool is healthier for them, a benefit can be happier customers. Salt tends to be less irritating to eyes and skin, and has a familiar taste, rather than a chemical one like traditional chlorine. This is not because there is no chlorine, as discussed earlier, but because the taste of salt overpowers the taste of everything else in the water. Perception is everything. 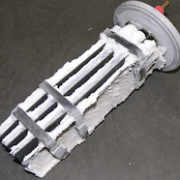 The up-front costs of installing a salt generator system can be expensive. Remember those swim school owners we mentioned earlier? Their estimate for a new commercial system is close to $50,000 (and that’s just for a swim school!). Traditional chlorination systems cost a tenth of that, or even less. Yes, it turns out that saltwater is a conductor for electricity. Improper bonding (or lack of bonding) allows for electrical current to travel through the water to get to metal. This process corrodes metal much faster than normal. Click here to read more on why corrosion in saltwater in pools is affected by electricity. Calcium carbonate scale and salt deposits are often visible on tile lines of saltwater pools. Scale deposits are prevalent in saltwater, though it is easy to confuse dried up salt for scale. The wet/dry effect looks very similar to carbonate scale. It’s not just in pools either…just look at a dock on the ocean, or any other body of salt water. Look at the white film on boats, etc. Mineral scale in saltwater happens most commonly inside the chlorine generator itself, primarily on the metal anodes. From there, it just spreads. To be fair, scale happens in regularly chlorinated pools too—but salt systems raise the pH, (requires more acid to offset than a traditional chlorine treated pool) which allows for more scale (specifically calcium carbonate scale). With scale comes more pressure in the pipes, and more need for routine maintenance to keep the system clean and efficient. Combating corrosion and scale from saltwater can be difficult, but it is possible. First, if you are building a new pool and planning to use salt, make sure your architect, engineers (specifically electrical engineer), general contractor and electrician know to bond everything together to common ground. This mistake is made too often because it is rarely understood. In fact, we heard about it because a leading pool dehumidification company, Desert Aire Corp., shared the information with us on a particular job. Hansen goes on to explain that the electrolysis process creates chlorine from sodium chloride, but it also releases sodium hydroxide (NaOH). Sodium hydroxide drives your pH level up. Additionally, the process generates more heat, which leads to more scale. Inevitably, saltwater will splash out of the pool and drip of your patrons. Salt leaves a white residue that will harden on surfaces around your natatorium. Give these surfaces a good rinse with the hose (not buckets of pool water) to keep this residue at bay. Bottom line, if you’re using or thinking about switching to salt water, understand the risks and how to control them.